Mobile commerce is expected to continue its stellar growth in 2013, and Asia is expected to spearhead much of that growth. In fact, in Asia, the value of Asian non-cash transactions is expected to surge from US$191 trillion recorded in 2010 to some US$301 trillion by 2020, buoyed by payment methods such as mobile payment and the use of prepaid cards becoming increasingly popular in APAC. Weatherseed shares that Singapore is one of the leading adopters in this space. “Singaporeans, more than any other Asian country, have embraced new payment technology. In fact the country is one of the most advanced payment card markets in Asia making it an absolute hive of activity for innovation,” he reveals. According to data from KPMG, there are some 35 million cards circulating in Singapore in 2010, of which 9.8 million are debit cards, 7 million credit cards and 18 million prepaid cards – all for a country with a population of less than 6 million. Even the Monetary Authority of Singapore (MAS) has revealed that around 85-percent of transactions completed in Singapore involved electronic money or SVFs (Stored Value Facilities). That trend is set to grow, especially when it comes to mobile payment. Research undertaken by Datamonitor last year shows that two out of three Singaporean consumers are interested in using their mobile phone as a payment tool. 23-percent of Singaporeans said that they are very interested in using their mobile phone to make payments in shops, while 47percent indicated they are quite interested. Other countries aren’t too far behind. Malaysia has a mobile payment penetration rate of 4.5-percent as of December 2011. It is also one of the first countries in the world to deploy biometric passports for its citizens and introduce NFC (Near Field Communications) payments. Its MyKad was issued in 1999 by the government to replace multiple cards – driver’s license, passport and bank card – with a single card. 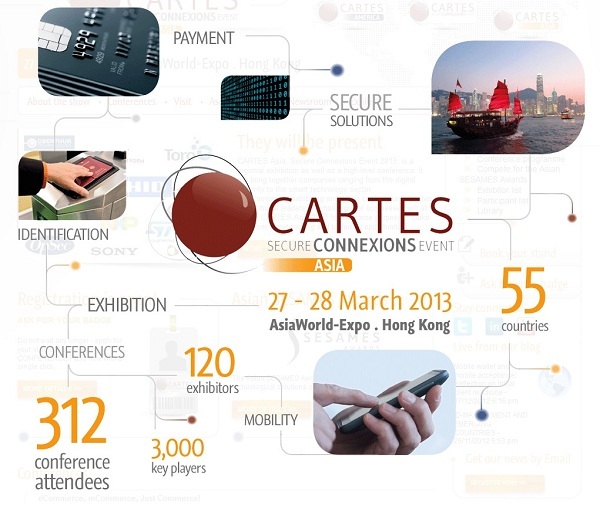 Maybe someone at CARTES Asia and E-Commerce Asia may be able to shed some light on that future.